Herbal plants belonging to the Thymus genus are collectively known as Thyme. The name most commonly refers to the plant Thymus vulgaris, which is popular for its culinary and medicinal properties. its delicate aroma makes it an excellent addition to numerous vegetable and meat dishes. 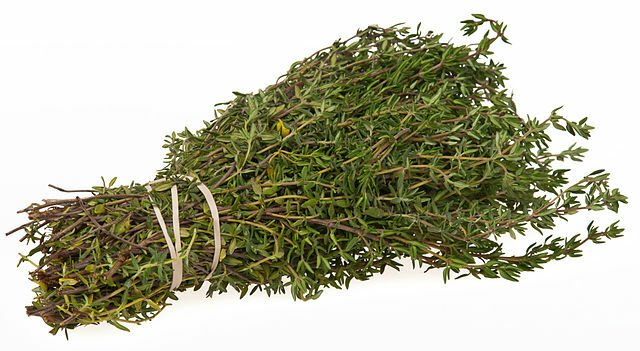 What Does Thyme Look Like? The appearance of the different species may vary from one another. Here is a general description of Thyme leaves which are principally used for culinary and medicinal purposes. Shape: The long, narrow leaves are elliptical with crooked margins. Size: The average length of these leaves is around 1/8 inch while they grow about 1/16 inch broad. Color: They are greenish grey in color with some species having leaves with white borders. 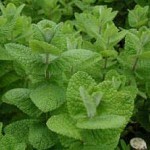 Aroma and Flavor: It has a dry yet subtle aroma with a somewhat minty flavor. 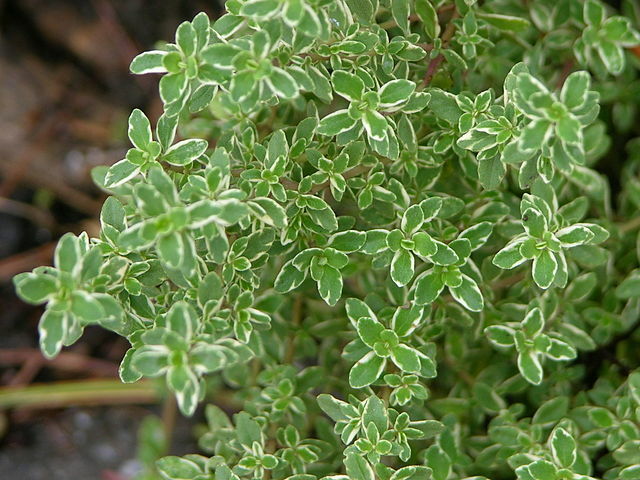 Various species of Thyme originate from the Americas while many species are indigenous to different regions of Europe as well as the Mediterranean regions. Some varieties are native to Asia. At present, Thyme plants are grown throughout the world for edible as well as decorative purposes. Oil is extracted from the leaves and flowering tops of these plants, using the steam distillation process. The reddish-brown essential oil has a sweetish herbal aroma and is used for various medicinal purposes. It can work as a lung and bronchial stimulant which makes it useful for fighting colds, coughs, asthma and bronchitis. The warming qualities of the essential oil make it beneficial for conditions like sciatica, rheumatism, gout and arthritis. It is also known to improve concentration. But, in some people, it can cause skin irritation in case of direct contact. Like many other herbs, Thyme is commonly used for making herbal tea which is good for the health. The tea is an excellent source of various volatile oils, flavonoids and beneficial phenols. It is also rich in various vitamins and minerals while having a high medicinal value. Disease Preventing Properties: It contains various essential nutrients that prevent various diseases by improving the immune system. Controls Heart Rate and Checks Blood Pressure: Potassium is a crucial component of body fluids and cells. The potassium contents of Thyme control the heart rate and help to monitor the blood pressure. Cancer Prevention: The herb is known to protect from oral cavity and lung cancers. Healthy Teeth and Gums: It prevents caries, gingivitis as well as infections and inflammations of the throat and mouth. Rich Source of Antioxidants: There are many beneficial flavonoid phenolic antioxidants in Thyme. These include zea-xanthin, pigenin, lutein, naringenin, thymonin and luteolin. It is among the most antioxidant-rich herbs with a total Oxygen Radical Absorbance Capacity (ORAC) value of 27426- µmol TE/100 g.
Stress Reduction: Its high vitamin-B6 contents can provide approximately 27% of the total recommended amount of thevitamin per day. This helps to reduce stress by maintaining the levels of gamma aminobutyric acid in the brain. Antimicrobial Properties: Various researches show Thyme to have antimicrobial properties as it contains Escherichia coli, Shigella sonnei, Staphalococcus aureus and Bacillus subtilis. Its thymol content has been proved to be effective in fighting certain fungi that affects toenails. It is rich in an important essential oil known as thymol, which has antiseptic and anti-fungal properties. Other beneficial volatile oils include carvacolo, geraniol and borneol. Better Digestion: Another important benefit is the maintenance of digestive system health by preventing mucus accumulation in the intestines. Protection against Harmful Free Radials: Its high vitamin C contents help to scavenge pro-inflammatory free radicals and develop resistance against various infectious agents, thus protecting the body from different diseases. Fights Acne: According to one study, it may be effective in treating acne. 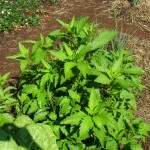 The herb is popularly used for preparing and seasoning sauces and soups. It is one of the main ingredients used for making bouquet garni and herbes de Provence, two mixtures of herbs that are added to soups and stews for enhancing their flavor. 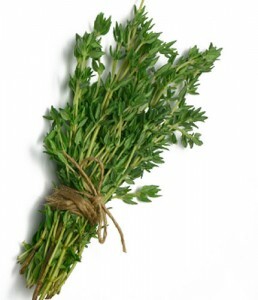 The other components in the bouquet garni are parsley, bay leaf and celery while herbes de Provence consists of basil, savory, fennel and lavender. Thyme is also commonly used for marinating fish, chicken and meat. Fresh Thyme leaves can add a delicate flavor to pasta dishes, omelets and sautéed vegetables. Another common use is for seasoning various bean dishes such as black beans, kidney beans and pinto beans. Gargling with lukewarm Thyme-water can relieve sore throat. Drinking Thyme tea everyday can treat bronchitis, coughs and colds as well as relieve indigestion. 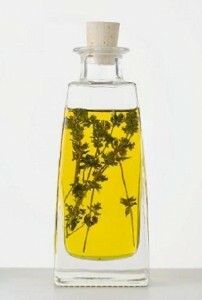 Thyme based formulations are often used as antiseptic mouthwashes. It is used as an active ingredient for producing some alcohol-free, all-natural hand sanitizers. 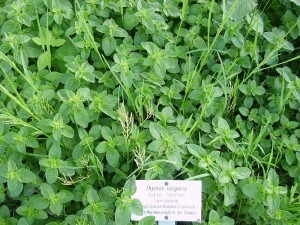 Certain species, like the Mother of Thyme, are cultivated as ornamental ground cover in different parts of the world. No herb can be a perfect substitute for another herb in any recipe. 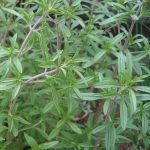 But, in case Thyme is absolutely unavailable, you can use certain other herbs such as basil, marjoram, oregano and savory in its place. Rosemary can be a good substitute with lamb and pork dishes. It is safe to consume in small amounts along with foods or as a medicine for a short time. However, overconsumption can lead to digestive system upset in some people. It may have allergic reactions in individuals allergic to oregano. Consuming Thyme in moderate food amounts is safe during pregnancy and when nursing. However, its effects are unknown when consumed in larger amounts for medicinal purposes during this period. 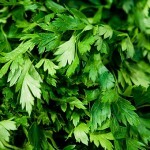 So, it is recommended for pregnant and breast-feeding women to avoid using the herb in large amounts. It is available in the fresh as well as dried form in all herb stores and grocery stores throughout the year. One can also order it from online herb stores. Fresh Thyme leaves can be stored for around two weeks when it is kept in the refrigerator after wrapping it in a paper towel and then placed in a plastic bag. One can also freeze the leaves in order to save its aroma for a longer period of time (around 4 to 6 months). They need to be trimmed, chopped and dried thoroughly before being placed in freezer bags. One can also freeze the leaves in ice cubes before storing them in freezer bags. Dried herb can be stored for up to six months when stored in a tightly sealed container (preferably glass) in a cool and dry place. Its essential oil was used for medicating bandages before the development of modern antibiotics. It was considered to be a symbol of sacrifice and courage in the ancient Greece. According legends, Thyme was present in Virgin Mary and baby Jesus Christ’s straw bed. It was used by the ancient Egyptians in the process of mummifying the dead bodies of their deceased pharaohs.